CORSHAM is a small market town to the north of Wiltshire on the southwestern edge of the Cotswolds. 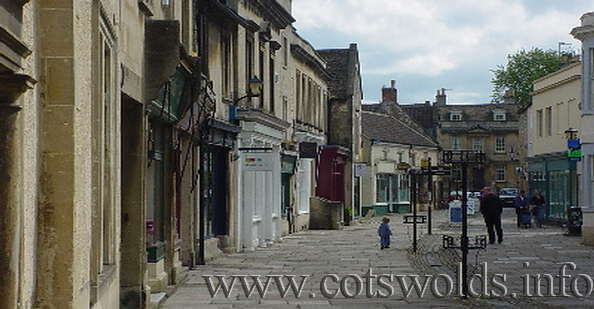 The attractive town has many buildings built from the local Cotswold stone and is famous for its fine architecture. The town has a population of 4750 people. Corsham inspired Charles Dickens to write The Pickwick Papers, and create the character Moses Pickwick. Pickwick, once an adjoining hamlet, gave its name to Moses Pickwick an abandoned baby, this name later being seen on a carrier's cart by Charles Dickens who used it for his Pickwick Papers. The beautiful Corsham Court, a stately home well worth visiting, built on the site of a former Saxon royal manor and based on an Elizabethan design from 1582. Corsham Court has remained the property of the Methuen family since 1745, and houses the family collection of masks, splendid Georgian furniture and porcelain. The glorious gardens also contain a bathhouse designed and built under Capability Brown in 1760. The town of Corsham, and in particular, the Court, was used as a location for the film Remains of the Day, starring Anthony Hopkins and Emma Thompson. Other interesting sights in Corsham include the Flemish Cottages, built in the 17th century to house a group of Flemish weavers, who fled from religious persecution, bringing a rebirth of the woollen industry to the town. Also see the Hungerford Almshouses, old inns and the elegant Town Hall. A visit to Corsham may unearth many surprises for the visitor. Corsham owes its prosperity to the wool trade and quarrying of the golden Bath Stone, their stories being captured in interactive displays at the town's Heritage Centre. Nearby is the village of Box from where stone was first quarried in the 8th century. By the end of the 19th Century these quarries were the most productive in the world. Brunel completed his railway from Bristol to London in 1841 incorporating the famous 2 mile Box railway Tunnel. Corsham is ideally places for exploring the southern Cotswolds and is about 3 miles south west of Chippenham, 4 miles north west of Melksham, 7 miles north east of Bradford-on-Avon and about 8 miles from Bath.